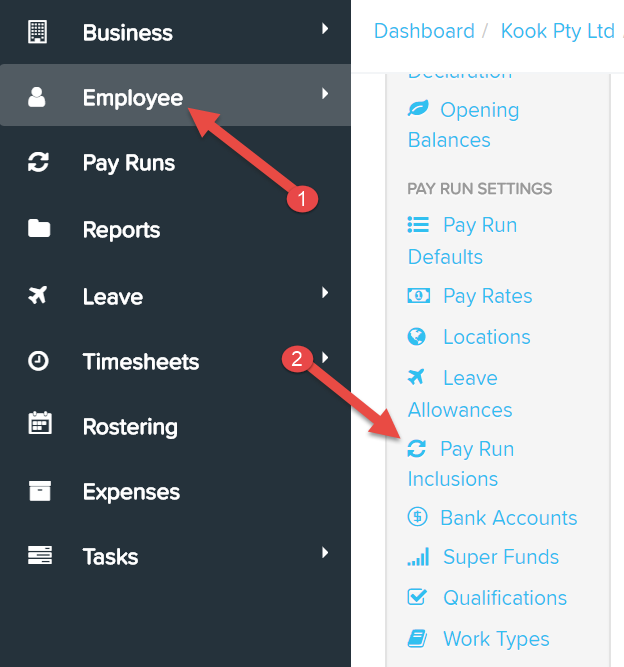 Once you have created some expense categories (The tutorial can be found in Expense Categories - Creating and Managing), you can begin assigning these expenses to employees as recurring expenses, which will take effect every pay run. 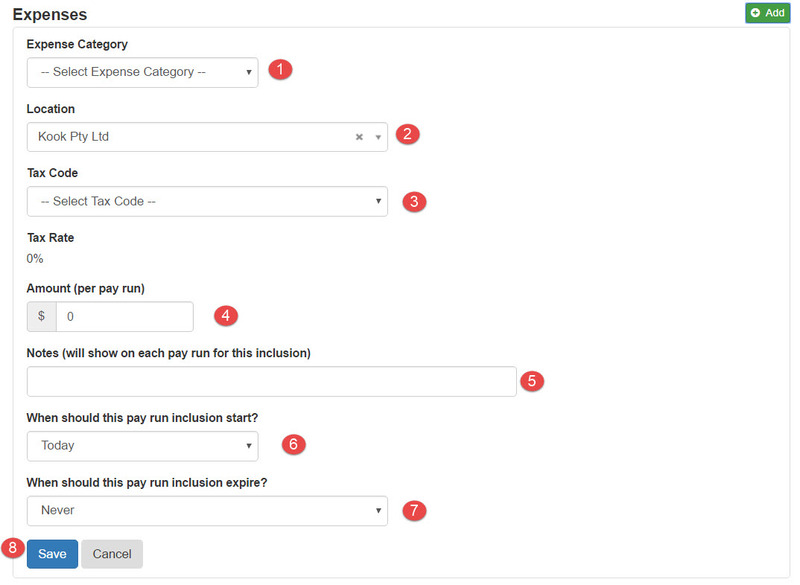 Once you have chosen an employee, click the 'Pay Run Inclusions' tab in the 'Pay Run Settings' section on the left hand side of the screen. Now, the next time you create a pay run that includes this employee, this expense will be automatically added. If you wish to edit an expense after it has been created, click its name in the list of expenses that have been assigned to this employee. You'll be able to edit any of the properties of that expense (apart from the expense category). To delete an expense, click the red cross on the far right hand side of its entry. You'll be prompted to confirm the deletion. Please note that expenses are not included in end of year payment summaries.